Updated Tuesday March 21, 2017 by Downtown Little League. DLL has reached the incredible milestone of providing 25 years of organized sports to the children across lower Manhattan. What began on a grass lot in Battery Park back in 1992 has evolved into one of the nicest facilities in the City, supporting more than 1000 children ranging in ages from 5-18. 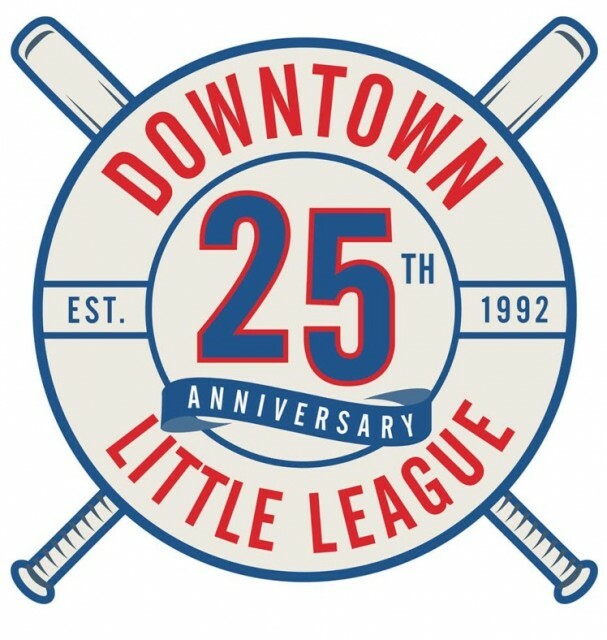 Given its current size, DLL is among the largest single Little League chapters in the United States. The success of DLL is built upon the commitment of countless volunteers without whom none of this would be possible. The current Board of Directors would like to acknowledge and thank everyone who has played a role in creating and sustaining this remarkable community asset. Keep an eye out for our commemorative 25 anniverary logo, which will adorn the players jerseys and hats during the Spring season. "BRILLIANT 25TH ANNIVERSARY TODAY. When I started the Downtown Little League in 1992, we played on back lots that would eventually become apartment buildings. Some years we moved to Governors Island. Now you have the most spectacular facility in the state. Through out these years there has been a commitment by parents to provide the best sports experience for their children. I want to personally thank Andrew and the other members of the executive board for their volunteer help. PLAY BALL Dr. Lewis Gross: founder and president of DLL 1992-2012"
External links are provided for reference purposes. Downtown Little League is not responsible for the content of external Internet sites. Copyright Downtown Little League All rights Reserved.